When we see an exceptionally moving piece of art, it can leave us stunned by the curious amount of genius it took to create it. But we often forget that much of fashion design begins as a work of art too – except it can mean even more because we live our lives in it. 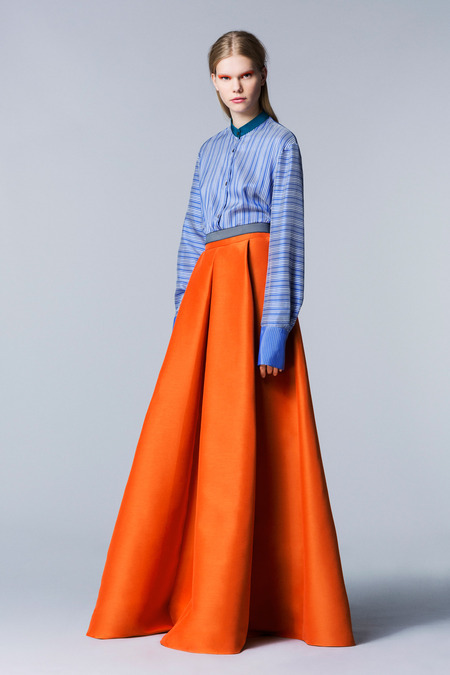 The indelible creations of Siberian-born fashion designer Roksanda Illincic are an excellent example. 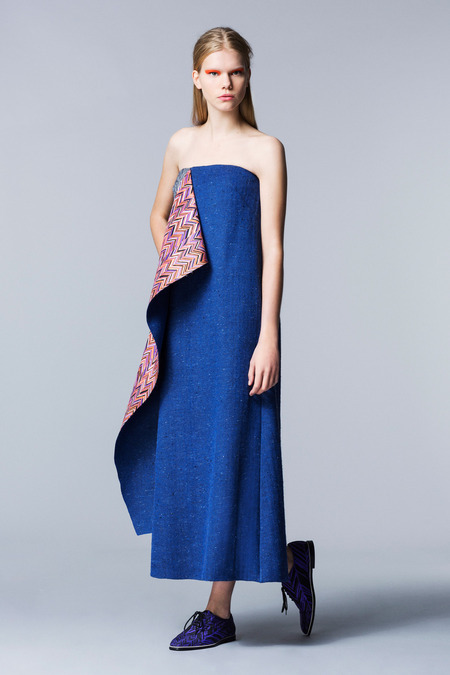 Her name has become synonymous with striking Crayola bright colors, meticulous cuts, and sleek variations of designs and shapes – all of which are culminated in her Pre-Fall 2014 Collection. Although Illincic has quickly risen to fame in only a few short years, it didn’t hurt that she attended Central Saint Martins, the world-renowned school of art that has seen its share of legends including Alexander McQueen, John Galliano, Stella McCartney, and even Zac Posen. 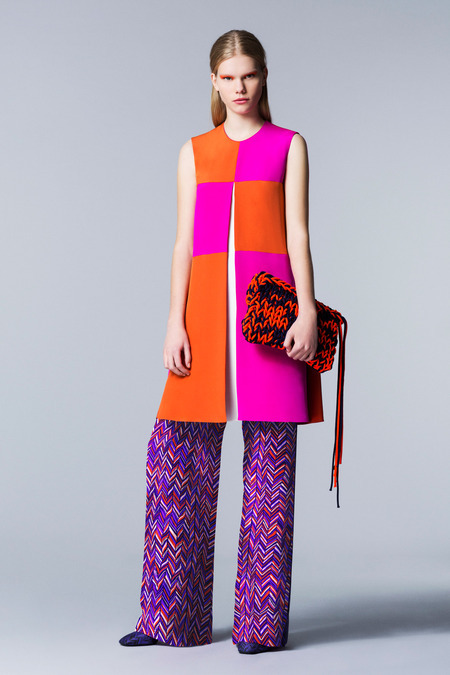 Illincic’s Pre-Fall 2014 Collection is the pure quintessence of detail and precision. She uses the brightness of colors to contrast patterns with darker and solid colors. She fuses a mixture of bias cuts, A-lines, high-waists and princess designs with an array of continuity to perfect the looks. The designs are then added with panels of various shapes with surprise linings and color. Her designs also include faux fur coats paired with wide-legged bohemian trousers, floor length dresses, and knee-length dresses paired with colorful and funky pants. And let’s not forget those purple zig-zag lace up shoes that match most of the patterns in the collection. 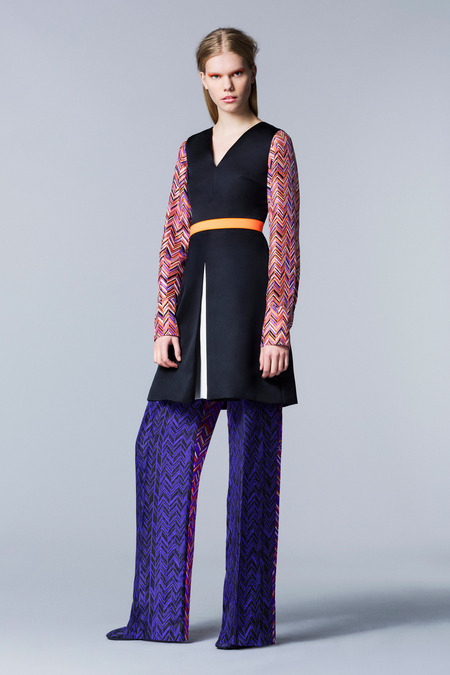 No matter what kind of style Illincic possesses, she definitely has an aesthetic unlike many other designers in the industry. With a celebrity following including Gwyneth Paltrow, Emily Blunt, Lady Gaga, Tilda Swinton, and Nicole Richie, she is surely on her way to becoming the go-to designer. Let’s hope that she always leaves fashion enthusiasts on the edge of their seat with her dazzling shades and her bold approach to design. Henny is a freelance Fashion Writer with years of experience and knowledge of fashion, art and style. Henny also has a MFA in Fashion Journalism and a BFA in Fashion Design/Marketing. 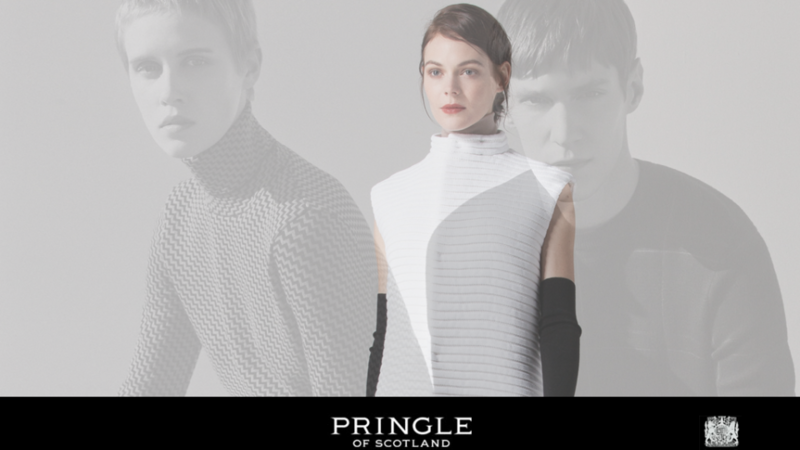 Scottish fashion brand Pringle of Scotland may have been around since the 1800’s but their designs are the very essence of modernity. Known for their luxurious cashmere and usage of knitwear, the Pre-Fall 2014 collection displays classic structures with a hint of oddity. The “Ready to Care Shopping Destination” company Able Made designs and creates quality products to fund projects that improve the lives of those in need as well as the planet that we all share. Berlin-based fashion designer Elise Ballegeer is taking the extra step in providing organic fabric, trendy clothing and social awareness with her eco-friendly clothing line.